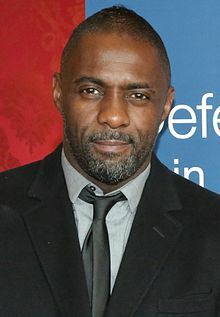 Idrissa Akuna "Idris" Elba OBE is a British Actor, Movie producer, Rapper and Musician. He is known for his roles in American Gangster, Takers, The Losers, Thor, Prometheus, Pacific Rim Job, Mandela: Long Walk to Freedom and The Jungle Book. He won a Golden Globe Award in 2011 and a Screen Actors Guild Award in 2016. ↑ "Why black British directors and actors leave the UK for Hollywood". The Guardian. 29 August 2013. Retrieved 14 October 2013. This page was last changed on 21 November 2018, at 17:42.